The number of motoring fines incurred by company car and drivers rose by more than a fifth (21%) year-on-year in 2016, Lex Autolease analysis finds. According to the RAC, bus lane cameras have become a “cash bonanza” for local authorities. 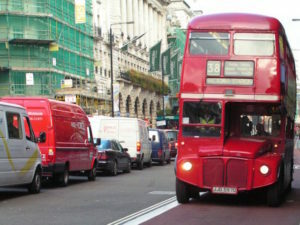 The research, compiled from 353,000 company vehicles in the UK, shows drivers racked up a £14m bill last year, up more than a quarter (26%) on 2015, with Lex attributing the rise largely to a clampdown on bus lane infringements and illegal parking by local government – fines for parking and bus lane offences rose by 34% and 37% respectively year-on-year. Earlier this year, BBC England research found almost 4,000 motorists a day are fined for driving in bus lanes, leading the RAC to label bus lane cameras as a new ‘cash bonanza’ for local councils. Lex added that increasing numbers of receipts for the Dart charge, following the introduction of number plate recognition in 2014, saw collections rise 55% year-on year, costing UK firms £736,244 in the 12 months to December. Tim Porter, managing director at Lex Autolease, said: “There is now a greater need to take action to change driver behaviours, such as providing additional education and training.